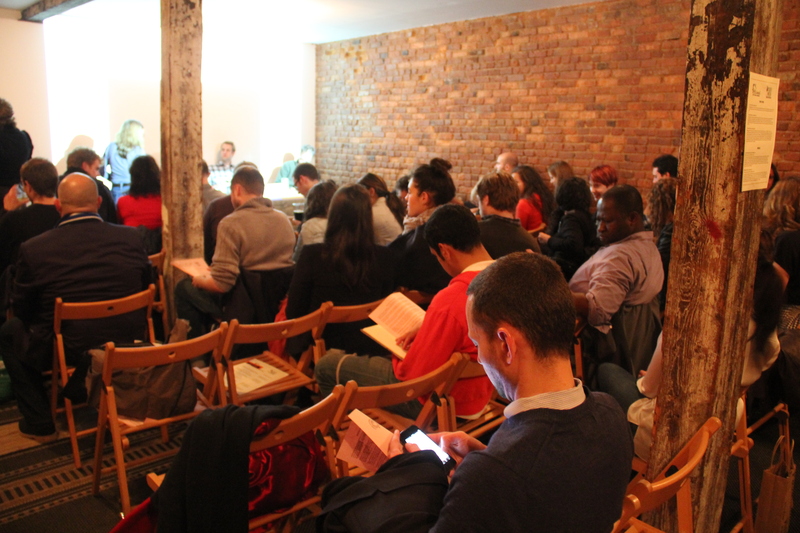 This Food Systems Network NYC event was co-Hosted by Glynwood, Slow Food NYC, and 61 Local. 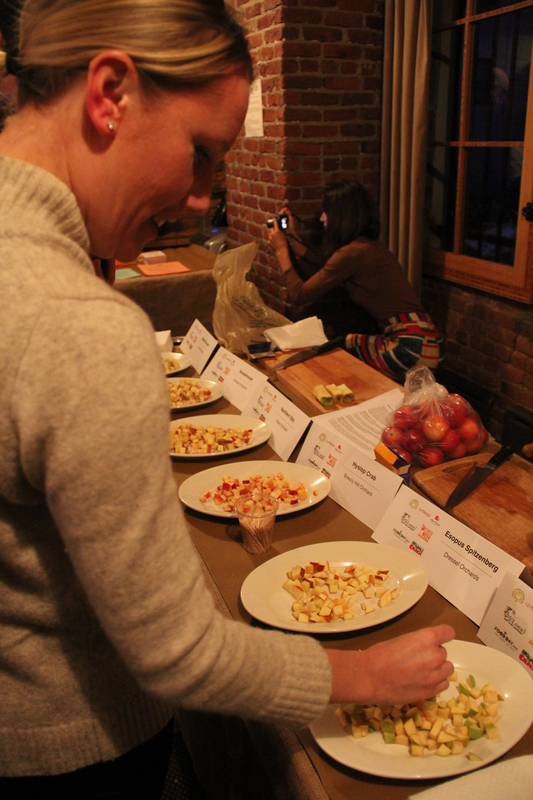 The event brought together Sara Grady from Glynwood and three orchardists and cider makers from the Hudson Valley region. E Ryan: Cider is the joy, the soul, and the essence of the apple. Financially, cider production allows us to use fruit not pretty enough for market, to diversify and add value. It is also a low/no-spray agricultural option with low input systems and the possibility of integrating animals. D Wilson: We have the oldest pick your own orchard in the state operating for 108 years, a long history of relationship with the public. 80% of our annual income comes in a six week period with pick-your-own, and if the weather doesn’t cooperate – if it rains on the weekend and people don’t come out, we can be hurt. Hard cider gives us something to broaden our base – more flexible and sustainable. Q: What has been the impact of cider week for you? E Ryan: We started making artisan cider in 1996. I went to England and spent time with cider makers there. At the marketing level – people didn’t know what to do with it. The difference between then and now is amazing. Restaurants who didn’t know what to do with it 10 years ago are seeking us out. I just borrowed 1 million dollars to buy the farm I have been renting, so that tells you I have some confidence in the market. During our visit to France, we saw the future there – an air of prosperity we want to build in the Hudson Valley. D Wilson: Cider allows us to attract a different market than the family pick-your-own. Cider week has allowed us to develop a relationship with a distributor. Cider is becoming a much more substantial part of our overall business. Production has tripled in the past few years. It is a value-added thing for fruit you already have. Now as the industry matures, we are planting specifically for cider purposes. T Dressel: My family is a 4th generation apple growing family. My grandfather is still working. It’s been a change for him to take out his trees to plant trees for cider, apples he can’t put on a road side stand. I came back from school hoping to open a winery and planted 4 acres of grape vines. While they were growing I made some terrible ciders. During that time things really started moving with the cider industry. In 2009 the Cornell extension called me up and said they had a collection of cider trees that were going to be grubbed up and if I wanted them I had to come up right away to pick them up. So I got some friends together with a truck, dug them up, and put them in the ground. We have 60 trees, 10 European cider varieties. That’s how I started growing cider apples. It’s hard to get nursery trees for cider, few people carry them and you have to wait 5-8 years for them to be ready. It is easier to top graft onto existing trees. I have another half acre of American heirloom apple varieties as well. Q: Could you talk a little more about cider varieties? E Ryan: In Europe, cider makers grow hundreds of varieties for cider. Makers in the town we visited in Normandy had catalogued 600 varieties. We have a huge tradition ourselves of heirloom varieties grown here. Some of the older orchards had Norther Spy, Golden Russet, etc, varieties people don’t know in Europe. I am drawing mostly on these American varieties. D Wilson: I am liking some of the ciders we are making from old Russet varieties – the Golden Russet and the Ashmeads Kernal, as well as English Bittersweets like Dabinette and Chisel Jersey, along with some crab apples. Eating varieties have more sweetness and adicity to them. Cider varieties add to the whole palette – different qualities of acid, bitterness, and astringency. A really good cider rarely comes from a single apple variety. To develop a balanced cider requires blending. Q: Tell us about your experiences in La Perche, Normandy. What did you bring back? E Ryan: Cider is completely embedded in Norman culture, with their cider washed cheese and calvados. They have achieved terroir. We learned a lot of techniques, which you end up trying to re-interpret here with the kinds of varieties we have access to here. 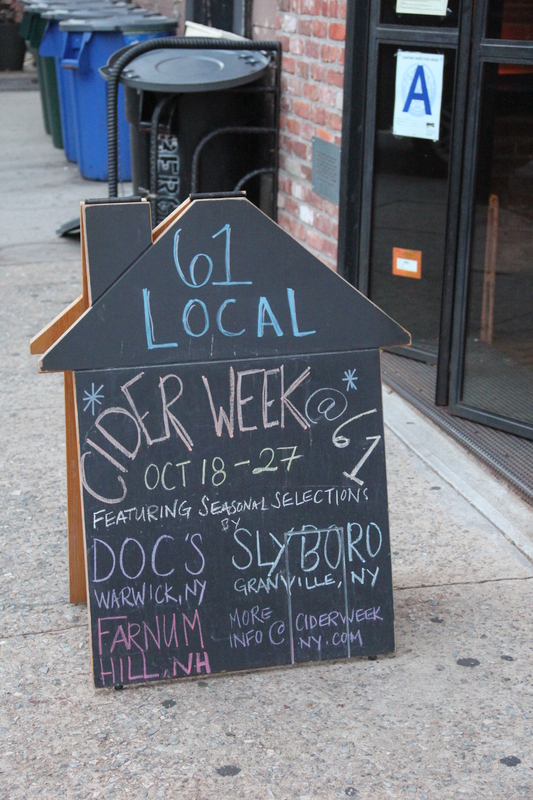 I was most impressed with the cider culture and what the Hudson Valley could be. T Dressel: For me it was the cultural experience. As a commercial apple grower compliant with NY State laws and regulations, so much of what I saw there will never happen here: such as harvesting apples off the ground. It set a goal for me that I wanted to be able to achieve – I wasn’t making cider yet at that time. I was impressed with how different their craft cider is than ours, and that the tastes – more earthy and funky – they enjoy over there might not be transferable to an audience in the states. One French cider maker asked me – “what is this word, funk? People keep telling me my ciders are funky?” I think education is first, so many people don’t understand what cider is. My biggest emphasis is telling everyone everything I can to expand people’s horizons. D Wilson: I was impressed by the value the French put on food – how food reflects an area. Slow food, terroir, sense of place. I came back with a sense of how the food they produce is a national treasure. And the apples grown in that area are just for cider, not for eating. Their techniques are extremely simple and yet sophisticated at the same time. We could also become a culture that consumes cider as a common drink. Q: Tell us how cider growing is a more low-input operation for ecological apple growing? Most people here understand that organic production for apples is very difficult in the Northeast. T Dressel: The system of grazing animals and harvesting apples off the ground, together with insects and rotten fruit might add to the funk of French cider! We are not spraying nearly as much as we used to. We use an integrated pest management system and are not organic. Copper (used in organic apple production) is an organic substance but is not sustainable. Up till now we had been using culled fruit from our eating apples. But now, with blocks set aside for cider apples, we can spray less since it isn’t going to the fresh market and the appearance of the apple doesn’t matter as much. D Wilson: An Apple orchard is a monoculture, perennial environment, making organic methods that work for other vegetable crops difficult. Problems from pests range from cosmetic issues to tree death, and these things can effect trees in combination. The focus of pest control is greatest between the blossom period till fruit is the size of a marble. Growing fruit without the need to address cosmetic problems allows us to reduce spray. Q: Blending? How much are decisions made based on tasting and how much on measuring tannin and acidity? In England, I saw people doing a full crush of what was being harvested that week – mix of bittersweets and bittersharps. Further blending of the juice happened later. Q: Is there a long term interest in developing uniquely American varietals for cider, rather than depending on European ones? D Wilson: There are some great traditional American ciders. My fantasy is that there might be a wild tree out there that has some great qualities we don’t know yet. (from audience – That’s what Andy Brennan is doing with Aaron Burr Cider). I mentioned to a friend of mine at the big breeding program in Geneva that we might need some new cider varieties, and she said there were some discards from the eating apple breeding program that could be good cider varieties. We want to find out what our customers will enjoy. The intense high acid of Spanish ciders or the funk of French ciders might now go down well here. We need to find out what the American taste is. This entry was posted in Cider Week, Events, North America, Northeast, Orchards. Bookmark the permalink. Thanks so much for posting! Inspires me to do the same for the various CiderDays workshops and tastings this weekend. It never occurred to me that cider variety trees might benefit from a different pruning regimen, but it makes perfect sense. The French Connection from the August 2013 issue of Good Fruit Grower is a quick read about the Hudson Valley / La Perche cultural exchange. I had never before seen a full list of the Hudson Valley participants and their businesses. Thanks so much for the French Connection article link! Please do post from CiderDays. I will look forward to hearing about it.